It’s just me again, with some rather… better news, I think. It’s my pleasure to announce a Special General Meeting of the Members of UCIP, the purpose of this meeting is to discuss and hopefully approve changes to the way the organisation is run, the agenda is laid out below and the minutes of the meeting and results of any votes will be posted online for access by the members of this organisation. Again, I hope many of you can attend, as this is quite an important decision for the membership of the Organisation to make, anyone currently considered an Active Member under the Constitution is entitled to a vote at such a meeting. Further to my email announcing the members meeting last month, we have made a decision on which irc room to use. The duration of the meeting will take place in the #ucip room at the time announced previously. 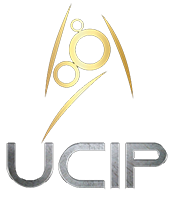 Also available on the charter page are the Copyright Clauses for the Org, these have been redrafted to protect the rights of the members as artists while safeguarding the Org, her sims and any intellectual property created specifically for UCIP.